Baltimores AP shells, what am I doing wrong? I recently bought this ship as I read good (official) reviews about its powerful AP shells that really pack a punch. Well I've had a few games in it now and I'm pretty disappointed with those AP guns.. I've often fired full boardsides at medium armoured targets at close range for hardly any damage. My last game for example I spot a Bayern BB that's perfectly side on so I give him a full barrage, 6 hits, 5 non pens 1 pen for 500 damage. Reload fire, again, 6 hits, 1 pen, 500 damage.. this is awful:( So I disengage and run for cover before he gets annoyed at me. I then attacked a S Dragon with my AP shells, same issue, 50% bounce off or over pen and the one's that do hit properly do minimal damage. Multiple hits for minimal effect, I go back to HE shells with better results but no more noticeably effective than the Pensacola or New Orleans HE spam other than a better ROF. 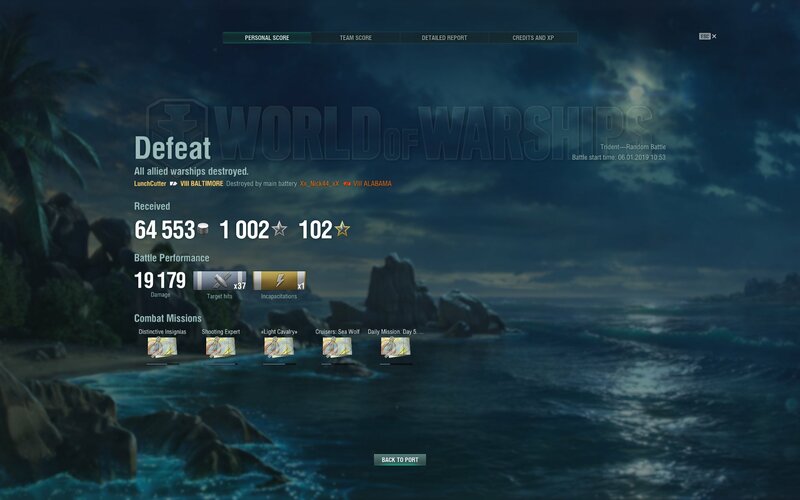 I've made no coin with this ship even when I've done ok and the team has won the $$ rewards are only average as I struggle to dent anything, especially in the tier 10 games I usually get thrown into. Am I doing something wrong? It's ok for lighting up and attacking enemy BB's but they know you have radar so 95% of the time they stay well away and just lob torps at me. Something funky seems to be happening with pens since the AP-DD nerf update. I'm seeing far more zero damage pens than I ever remember seeing. First, you need to understand why Baltimore AP is considered good. Regular APs start to have chance to bounce at 45 degrees incoming angle and the chance will gradually increase to 100% at 60 degrees incoming angle. That means, your shell autobounces if you hit armor that you cant overmatch at > 60 degrees angle. Baltimore and other USN CAs have special AP bounce angles. They start to bounce at 60 degrees and will autobounce at 67.5 degrees. That means you are more likely to do damage with targets that are somewhat angled but not sharply angled. Your AP does have decent penetration capability as well on Baltimore. However, it is just marginally better than, say, German CA T8-10 AP or IJN CA T5-T9 AP. You can penetrate most cruiser armors with no problem but you won't be able to pen most BBs' belt armor unless being super close up. So against most BBs, you want to aim upper belt for consistent penetration damage. Against cruisers, you can aim for citadel. But if they are good at dodging and angling they can still mitigate your damage. All in all, Baltimore does have good cruiser AP but that doesn't change the fact it is still situational. You can have more chances to use them than many other CAs. But that doesn't mean you automatically do good damage just by using AP. You'll want to fire AP at other Cruisers to get citadels. You can citadel USN and IJN BBs if you're very close, like 4km or better. You can get full pens into the upper belt and superstructure of most BBs when broadside. German BBs are very hard to citadel. I beg of you to watch this guy play US crusiers the two most important things you can do to improve your play. 1) ignore your back guns, if they can hit a target.. you can get deleted. 2) Hug islands as if there was gold on them. only use your front guns. never ever get in open water. You need to understand armor thickness and how much your guns can penetrate. 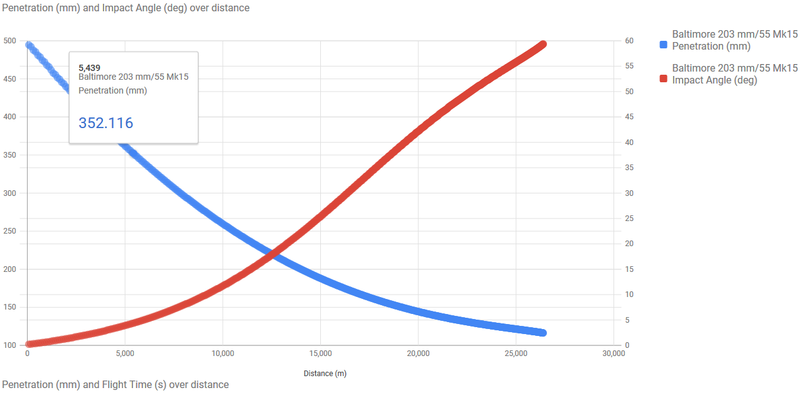 Baltimore will only penetrate 350mm from inside of 5.5km.